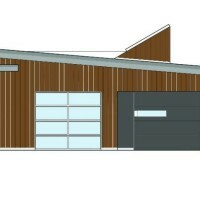 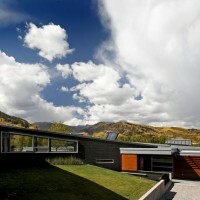 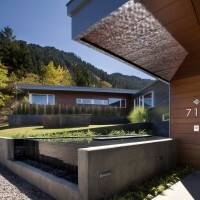 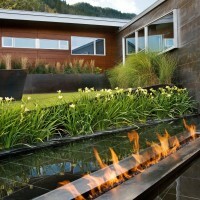 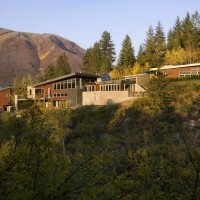 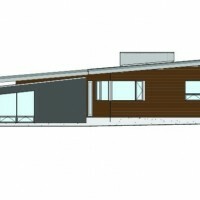 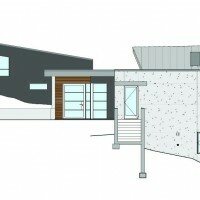 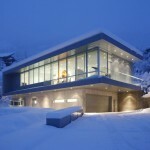 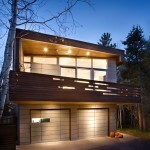 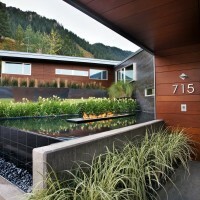 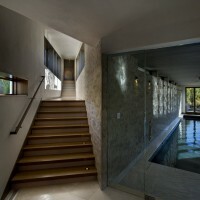 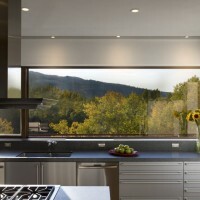 Studio B Architects have designed the Edge House in Aspen, Colorado. 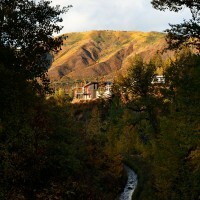 The 1.75-acre site is wedged between steep avalanche fields beneath Shadow Mountain and overhangs Castle Creek below. 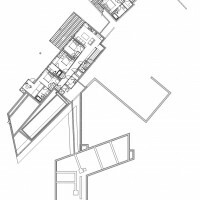 Topography slopes twenty-four feet across the building envelop and the angularity of it offered both challenges and opportunity. 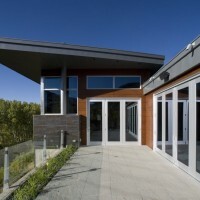 The site offers expansive views and an ‘in-town’ location while exposed to intensive full-day sun and avalanche concerns. 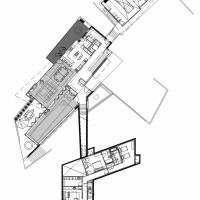 The program is separated into service, private and public wings and utilizes the grade change to link and unify the 10,600 square foot residence. 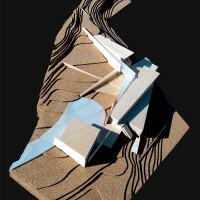 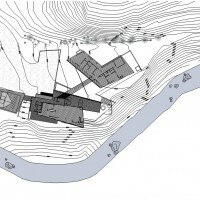 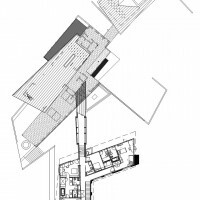 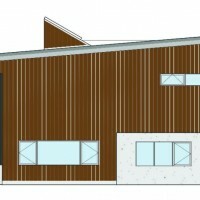 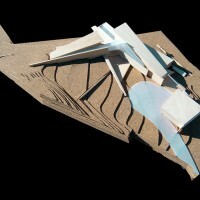 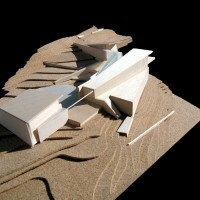 The plan accepts the many angularities of the site and the resulting architecture reflects this. 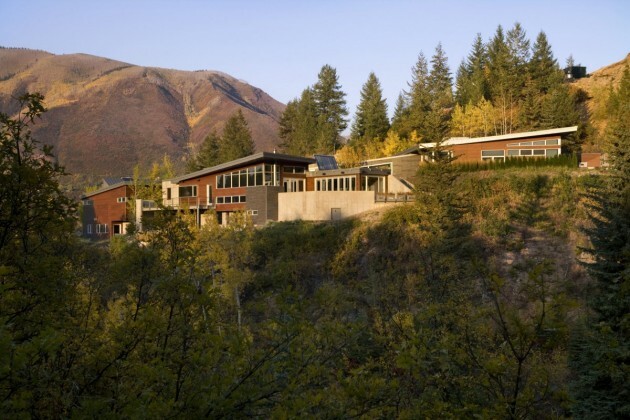 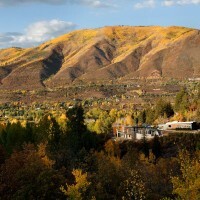 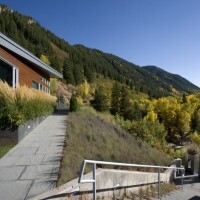 Because of the exposed site and proximity to the entrance to Aspen, its massing and scale were required to be ‘reduced’ in apparent size and height by city approvals. 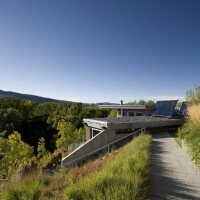 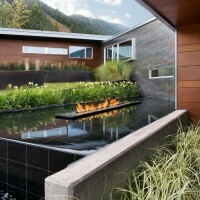 The house integrates with the landscape architecture and the resulting terraces, gardens and decks yield several exterior spaces while capturing specific views. 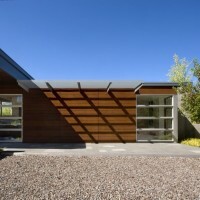 The roof and eave projections not only serve as shading canopies, but also deflect the sound of the river below into the interiors. 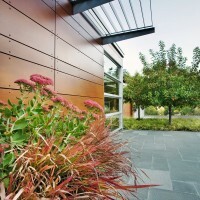 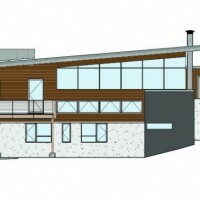 The exterior material palate consists of; Prodema board, porcelain tiles, formed concrete, galvalume flashing/roofing and both aluminum clad and mahogany windows/doors.